19th Hole Media is making an effort to produce a lot more videos to educate, entertain and inform golf courses on how they can market themselves better on social media and through the internet. Is Your Golf Course a Social Golf Course? We hope you’ll follow along our YouTube Channel to get regular tips, ideas and discussions about golf. Will you subscribe to our YouTube Channel? – Subscribe Here. 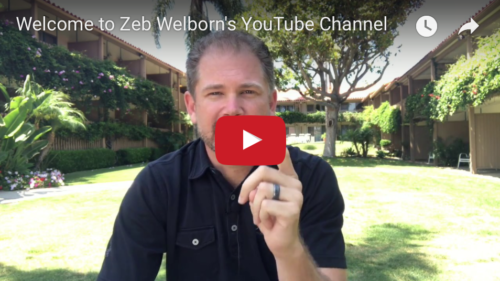 Zeb Welborn is the founder of 19th Hole Media, author of the Social Golf Course, president of Welborn Media and the host of the Twitter Chat, #GolfChat. Find out more. Posted in 19th Hole Media, The Social Golf Course and tagged 19th Hole Media, Golf Course Marketing, Golf Courses, YouTube, Zeb Welborn. ← $14,401.87 Raised from the 2017 Southern California Charity Golf Classic! $14,401.87 Raised from the 2017 Southern California Charity Golf Classic!